That's always been sort of my personal motto - Bloom where you're planted. And while I've worked to do just that over the years, one area where I never thought it would apply is gardening. My brown thumbs are legendary. That said... my plants are blooming where they're planted! 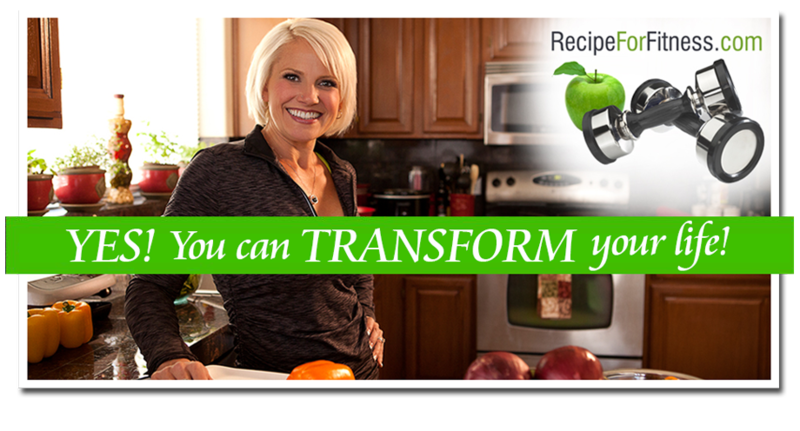 The official Recipe for Fitness garden is thriving! Check it out! To be honest, I kinda thought that I'd lose more plants before it was time to put in my pumpkins and watermelons. Since everything is growing so well, there's no room for new stuff, so I built two more beds! Woohoo! As you can see, the puppies decided to "help" me. Lol. The beds are super easy to construct... just 8 of these blocks per bed, and then we grabbed 4 2x6's per bed (total 8). The boards we had cut at Home Depot, so each board gave me a side and an end (the long side is just over 6 ft, the ends are just over 2 ft). The beds are two boards/blocks high. Turned out pretty darn good! I layered thick cardboard in the bottoms, wet it down, then added my soil. The cardboard serves to kill the grass underneath (and prevent it from growing into my garden), and will decompose over time, adding to the soil. Everyday I'm surprised to see growth in the garden. Surprised, and thrilled. I'm able to pick tomatoes and radishes every day! How crazy is that? I'm growing tomatoes! Lol! The zucchini and cucumbers have tons of blossoms, the snow peas and green beans are producing, I've got a baby cauliflower, and today I saw that my edamame plans have pods!! It's so cool! This weekend we're doing a test-packing run. We've watched the videos on the tortuga site, and between their guide and my own packing style (roll it up, baby!) we should be able to fit everything we need. Just a reminder, we're doing this with only a carry-on (imagine me freaking out). Bill's pack is significantly larger than mine, but I can't wear one that big (joys of being petite). So I've got the little-person sized pack, and he's got the normal one. Lol. Still... I have high hopes that I'll be able to make it all fit. Hope. Hope. Hope. Speaking of food... My recipe developing has taken a brief hiatus, so I've been relying on my trusty go-to list. Crockpot Pork Verde Tostados (recipe calls for chicken, but I used a pork roast), Street Tacos, Not-Lasagna, Stuffed Peppers, and I even tried my hand at another from-scratch crockpot tomato sauce (it was good, but not great). Locally, we've discovered a hidden gem - Espos Mexican Restuarant. OMG. So good! I've driven by it a million times since we moved to Chandler, but the hubby and I finally went there last week. Absolutely phenomenal! And on Taco Tuesday, they also serve a killer peach margarita. Lol. And on to my fitness update... BOOOOOO! I'm on medical hold. Can't exercise. Why? Stupid $$%^&& gallbladder. We think. We're (still) waiting on radiology reports. I hate waiting. I'm not good at it. At all. And pretty much unless you're spewing blood from an arterial wound, the medical world moves at the speed of molasses in snow. Me and ibuprofin have become besties. Lol. Thanks, Julia! Sure!! Any tips and recommendations would be great! Thank you! Wow a London trip with just a backpack! That is brave but so absolutely cool!! Loving that idea! You will have to take some pictures and show them when you get back. The no itinerary is classic? How long will you and Bill be their for? There will be lots of pictures!! :-) we will be there for 9 days. Can't wait!!! Espos - I'll have to check it out. We moved from NM and I need some good Mexican food! !